St. Augustine: Florida's Bastion of History and Nature- On the east coast of Florida, just south of Jacksonville, lies the "oldest city in the United States." Founded in 1565, this ocean-side city was the capital of Spanish Florida for over 200 years. Tourists flock to this destination for the historical character of the city, the breathtaking Spanish colonial architecture, and the pristine beaches. For your next getaway, book a St. Augustine beach house to immerse yourself in the historical ambiance of this beach town. Learn more here! This ad is no longer active, please view other ads below. If this is your ad and you would like to reactivate it, please call 888-933-5253 or login to your account page. St. Augustine: Florida's Bastion of History and Nature- On the east coast of Florida, just south of Jacksonville, lies the "oldest city in the United States." Founded in 1565, this ocean-side city was the capital of Spanish Florida for over 200 years. Tourists flock to this destination for the historical character of the city, the breathtaking Spanish colonial architecture, and the pristine beaches. For your next getaway, book a St. Augustine beach house to immerse yourself in the historical ambiance of this beach town. 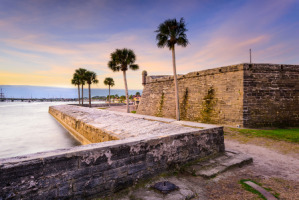 The Castillo de San Marcos in St. Augustine hosts events throughout the year to engage visitors and locals alike in an exploration of history. For example, they offer a Historic Weapons Demonstration; in other words, they set off cannons and explain the history of historic weapons. This site is the only 17th century military construction still in existence in the US, and it is also the oldest masonry fortress in the country. Another favorite historic site near St. Augustine beach houses is Fort Matanzas, which overlooks the southern river approach to St. Augustine and preserves Florida's history of coastal warfare through the 18th century. You can continue your tour of Florida's history at the Cathedral Basilica of St. Augustine. Sir Francis Drake burned down the original parish in 1586, and it has been rebuilt and destroyed several times throughout its turbulent history, with the last rebuilding project completed in 1797. It is the oldest church in Florida, and it serves as the seat of the Catholic Bishop of St. Augustine. The architectural mix of Spanish mission and neoclassical styles make this one landmark you won't want to miss. While these historical locations feature beautiful architecture, it's also possible to see the Spanish architecture in the city itself. Narrow old-world European streets, like St. George Street, run through the town. You can find things like the oldest wooden schoolhouse, contemporary shops, art galleries, and notable restaurants. There are also museums along St. George Street. When you are ready to step out of the city, two popular beaches are St. Augustine Beach and Crescent Beach. The St. Augustine Beach has showers, a picnic area, splash pads for kids, and free parking. It is a quiet and clean beach with no loud music. There are also lifeguards and a boardwalk nearby. It's the place to go to get a European beach feeling in the US. When you rent a St. Augustine beach house along this beach, you will be situated right in this quiet and friendly atmosphere. If you're in Florida, you might as well see some alligators, especially if you're visiting St. Augustine. St. Augustine is known for being the world's only place to see every species of crocodilian, at the St. Augustine Alligator Farm Zoological Park. There are more than crocodiles here, though. 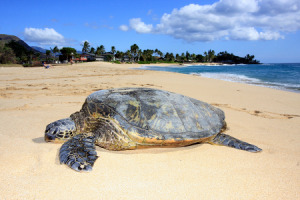 You can find exotic birds, reptiles, fossils, and lemurs. They also have albino alligators. The St. Augustine Wild Reserve is a non-profit that is a rescue for unwanted exotic animals. You can benefit the lives of these animals by visiting, as the money you spend goes to their care and to educating the public about exotic animal ownership. Among the animals are five arctic wolves and an African lion that once belonged to Michael Jackson. They don't allow photography, but you can still get a photographic CD after each tour. Whether you set your sights on this Florida town for the beaches, the wildlife, or the history (or all three! ), you'll find a warm welcome in a St. Augustine beach house rental. Book your trip today and let Florida treat you to amazing local flavor and a relaxed beach town atmosphere.